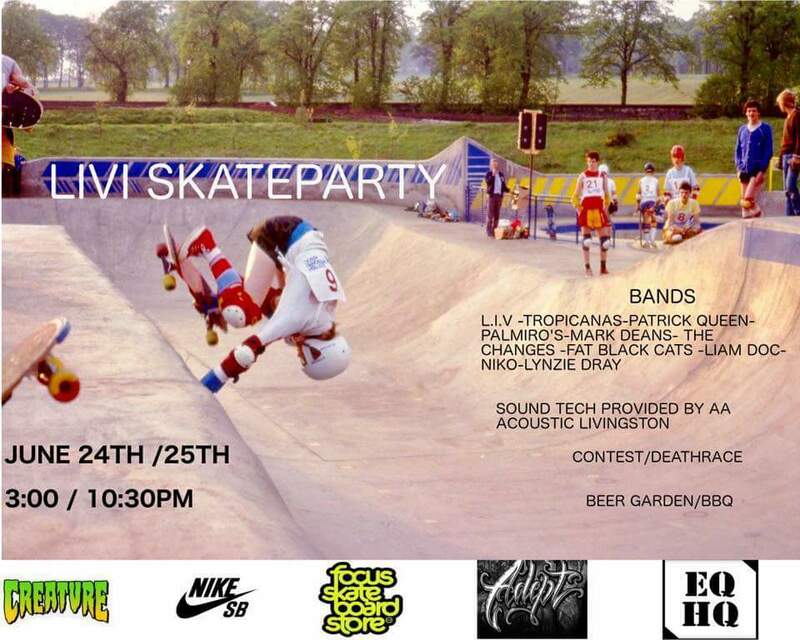 The Livi Pure Fun Skate Party is happening, June 24th 25th of June! Live Music and Graffiti Paint Jam in EQHQ Beer Garden from 3pm. SKATING all day with DEATH RACE and 2 MINUTES 2 MIDNIGHT BOWL JAM at night.